Endowed gifts are a vital source of permanent funds that make a Newberry College education possible for many worthy students. Endowed Scholarships aid in the recruitment and retention of students by supporting those who display academic promise, interest in a certain field of study and/or financial need.  This enhanced ability to fund the costs of a Newberry College education will ensure an academically competitive student body.Download the list of donors. The Wayland Henry Cato, Sr.